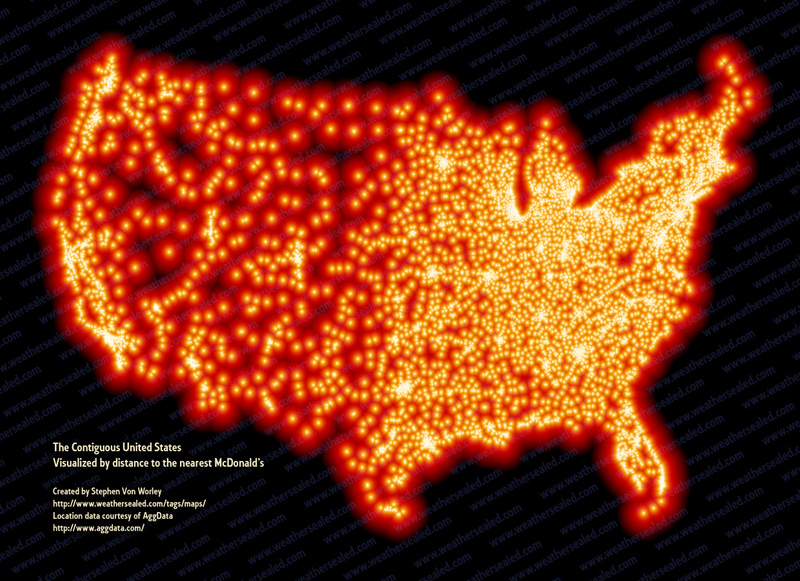 This is a map showing the locations of all of the McDonald’s in the lower 48 United States. The sheer numbers are impressive enough, but look at the patterns. Major metropolitan centers, the string of locations along major interstates, the equidistant points in places like the Dakotas. No doubt this map is highly correlated with the current population of the US. Simple, beautiful, and interesting. Everything a good map should be.